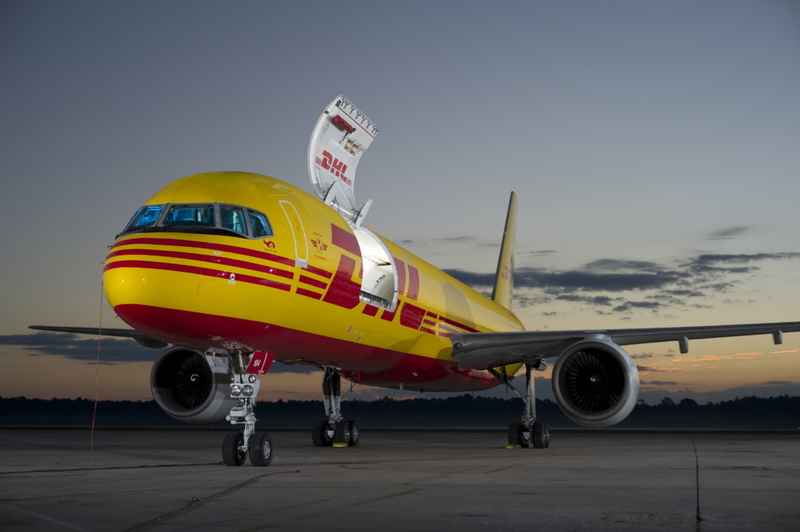 DHL Express has announced the launch of its new mobile and desktop app aimed at improving the online shopping experience for Africa-based consumers. The new platform, DHL Africa eSHOP, enables customers to shop directly from more than 200 US- and UK-based online retailers, with all shipments delivered by DHL Express, to the shopper’s door. DHL Africa eSHOP will be available in 11 African markets to start – South Africa, Nigeria, Kenya, Mauritius, Ghana, Senegal, Rwanda, Malawi, Botswana, Sierra Leone and Uganda. This solution was developed in partnership with Link Commerce – a division of Mall for Africa. Hennie Heymans, CEO of DHL Express Sub Saharan Africa, says that the DHL Africa eSHOP app offers African consumers much greater access to international retailers on an easy-to-use platform. According to a report by McKinsey Global Institute, the demand for world-class online shopping opportunities is growing exponentially in Africa’s leading economies, as urbanisation and incomes continue to rise. Despite the growing demand, many US and UK-based retailers do not offer shipping to African countries, owing to the perceived logistical challenges involved such as high last-mile delivery costs and fraud concerns. “E-commerce offers enormous potential for the region, and we are proud to provide this platform to further connect African consumers with global opportunities,” concludes Heymans. For more information about DHL eSHOP, click here. 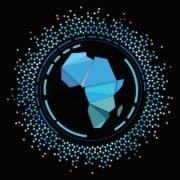 For information as to how Relocation Africa can help you with your Mobility, Immigration, Research, Remuneration, and Expat Tax needs, email marketing@relocationafrica.com, or call us on +27 21 763 4240. Sources: , . Image sources: , . Joy’s diverse career history in various industries including but not limited to health & beauty, human resources, clothing, jewellery & five-star hospitality has always had her in the front line of managing high levels of customer service delivery. Her experience also includes a brief time as an entrepreneur where she started up and managed her own business in the food & beverage industry for 2 years,and this further highlighted her drive and passion for exceeding customer service expectations, despite the challenges in which ever industry she was operating in. During her 8-year tenure at the Westin Hotel, Cape Town, (Starwood Hotels & Resorts), her high levels of dedication and service excellence were acknowledged and rewarded with an all expenses paid trip to the Swiss Hotel School of Tourism & Hospitality, where she gained further international exposure to service standards. Upon her return, she was offered a position in Human Resources, as a trainer, focusing on delivering service culture and guest training to staff across the board,and gained further training experience in Florence, Italy to allow her to successfully roll out phase 2 of the programme to all hotel staff so as to ensure that international Starwood service standards were being met in Cape Town, South Africa. Since she joined Relocation Africa in 2013, Joy has successfully managed the recruitment of all Head Office staff, as well as the recruiting and training all part time consultants throughout Africa. Her passion and curiosity for “what makes people tick” has led her to embarking on a counselling course which has yet again upskilled her in many other areas. Joy sets very high standards for the business, including strict compliance in the recruitment and training portfolio and consistently has her hand on the pulse of the team, ensuring the highest standards of service delivery for our assignees throughout Africa. Tracy is an Immigration Manager with demonstrated experience within the SA Immigration industry. A strong sense of ethics, focused on achieving beyond expectation results. Tracy has been with Relocation Africa since 2002, prior to which, she worked at The Department of Home Affairs, for 13 years. She is also the Vice Chairperson of the Forum for Immigration Practitioners of South Africa, which is a self-regulated, SAQA accredited organization. She is an Immigration Practitioner specializing in South African Immigration services. A dynamic individual, Ursula has spent the past 15 years working in varying roles –from project management, to book-keeping and commercial analysis, she now finds herself truly entrenched in the world of Global Mobility. Ursula has been with Relocation Africa since 2011, initially starting out as an Account Manager, her role has evolved, and she now finds herself as the Group Operations Manager. With a portfolio spanning RFPs and Pricing, Client Contracts and Relations, Escalations and Team Management,she has also recently taken on responsibility for Compliance in this ever demanding global industry. 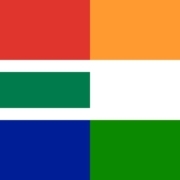 As an expat herself Ursula is originally from Northern Ireland, but has called Cape Town home for the past 10 years. She holds a B/A Hons Degree in Business with IT from University of Ulster, and returned many years later to complete an MSc in International Business, where her experience in the industry greatly contributed to many areas of the course. Her thesis was based on the Repatriation Experience, and the question of whether MNEs see their global workforce as a competitive advantage that needs to be nurtured, or a redundant resource that has served its purpose. In addition,Ursula holds two industry specific qualifications –GMS & MIM. Ursula is a mother to 2 small boys, with a third on the way, and when she has any spare time she enjoys travel, shopping, baking and socializing. Quintin is a marketing professional with a strong background in Brand Management. He has a Commerce Honours degree and practical experience across Communications, Marketing Operations, and Digital Advertising. He is constantly looking for opportunities to grow his skills and give back to the industry. Quintin obtained his Honours in Brand Managementat Vega in Cape Town, South Africa, where he was a project lead for an ABSA branding brief, and conducted research on marketing graduates entering the South African retail industry. During his tertiary education years, he was a marketing intern at Woolworths Holdings, and a marketing strategy and research intern at W5 Partners. 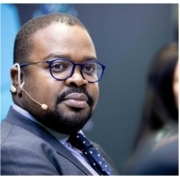 Quintin also served as the Lead for The Marketing Association of South Africa’s marketing and communications hub in Cape Town,during the organization’s national expansion. Quintin then went on to work as a Campaign Manager at Hitch Digital, gaining experience in programmatic ad sales on a variety of DSPs, campaign tracking and optimization, and financial reporting. He gained numerous Google and Double Click suite certifications during this time. Since 2017, Quintin has been Relocation Africa Group’s Marketing Assistant, working on all day-to-day marketing operations; overarching marketing strategy; social media, CRM system,website,and newsletter management; lead generation; promotional material design; copywriting; and event management. He also provides compliance and tech support ad hoc. Being a member of numerous marketing-related organizations, including The Association of Strategic Marketing, The Internet Marketing Association,and the Marketing Association of South Africa, Quintin maintains a strong interest in the marketing industry, and is passionate about personal and professional growth. In his spare time, Quintin’s love of animals and community development have led him to take part in volunteer work at the SPCA and in Vumatel’s fiber roll-out programs respectively, in his home city of Cape Town, South Africa. Research professional with the in-depth understanding of Africa. 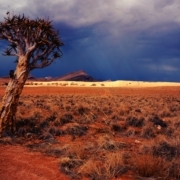 Prudence has gained insight into Africa from two previous multinational companies he worked for and Relocation Africa. As the site Manager of a DADTCO production site in Mozambique, Prudence gained experience in research and analysis of the cassava availability throughout the country and established the supply chain to the factory at the same time managing the production and maintenance of the factory. Prudence’s knowledge of African countries grew when he started working for Engen Petroleum in its head office in Cape as an international survey agent in its IBD Research division. IBD (International Business Division) Research division is responsible of evaluating B2B and Retail Engen stakeholder’s performance and their satisfaction in dealing with Engen branches across Africa. Responsible of training multilingual surveys agents and conducting researches and compiling related reports. Since he joined Relocation Africa in 2016, Prudence has been our Surveys Manager, working on research projects that are run throughout each year. These are done on Expatriates Cost of Living, Housing rental,African cities quality of living. This role requires constant knowledge update, which makes Prudence always passionate about learning new skills to maintain the quality of Relocation Research division’s products and services. Whilst completing her last few months of her ND in Tourism Management at the Cape Peninsula University of Technology, Nausheena applied for a once in a lifetime opportunity to work in the world-renowned Walt Disney World in Orlando, Florida. She was granted this amazing opportunity,and held the title of International Cultural Representative, with the main focus of representing South Africa to guests,as well as overseeing the Food and Beverage Department within Disney’s Animal Kingdom Lodge. Walt Disney World instilled the high-endvalues and predominant client relations ethics of service excellence, which in turn became a core passion. Nausheena continued to pursue her travel skill set and served as a both a Trainer and Customer Service Representative for KLM, Air France,and Delta Airlines. Nausheena joined the Club Travel Corporate Group in 2011 as a Corporate Travel Consultant, servicing major corporates by utilizing an Online Corporate Travel and Reconciliation Tool. During her time at Club Travel, she was awarded many accolades for her role and customer service.She was then offered to partake in a Management course which,after completion, promoted her role to both a Corporate Travel Consultant and a Corporate Team Leader,overseeing a team of Corporate Consultants for a period of seven years. Nausheena joined the Relocation Africa team as a Client Account Specialist in 2019. During her spare moments she loves to cook and bake,with the influence of watching TV shows such as Master Chef -she churns her own ice cream too -resulting in feeding her husband and son to a point that they can no longer move. Lucy joined the Relocation Africa team in 2018. She has over 10 years’ experience in client relations and operations within the hospitality and financial services industries. She holds First Class Honours in a BA/Hons Hospitality Management Degree which was heavily focused in business studies and was awarded the Cater Link Prize for Best Student on the Hospitality Pathways in her graduating year.During her working career she has held several team leader and managerial roles receiving awards for both successful sales and efficient/effective operations. Having settled in Cape Town after relocating herself from the United Kingdom 5 and a half years ago, she has become an honorary South African and has first-hand experience of going through the relocation process. She is passionate about customer service and going the extra mile for her clients. Her role here at Relocation Africa sees her project managing and co-ordinating the operations of the service offerings we provide to all assignees and clients. She ensures services are tailored to individual needs, whilst satisfying policy and procedural requirements and pro-actively troubleshoots for all eventualities to secure a successful relocation. On weekends she enjoys cooking for friends and exploring the Cape with her husband and beloved dog. Experienced Director with a demonstrated history of working in the Mobility, Research and Immigration industry. An Entrepreneur at heart, with a passion for Africa. Skilled in Negotiation, HR Consulting, Coaching, Deferred Compensation, and Sales. Strong professional with a Master of Business Administration (MBA) focused in Strategic Marketing from The University of Hull. René has run Relocation Africa in South Africa since 1993 and has a passion in dealing with International Assignees on the continent of Africa. She has developed and delivered many programs and services as diverse as migration, cultural training, and destination services on the continent of Africa. She has further started a second company, Global Expatriate Management, operating internationally but focusing on the continent of Africa, which offers Policy Development, Cost of Living Surveys, Housing Surveys, International Payroll, and Payment management. This company is now merged with Relocation Africa and formed the Relocation Africa Group. René is foremost an entrepreneur who has many diverse business interests, and contributes to both the local South African Remuneration Industry by sitting on their committee’s South African Rewards Association (SARA), as well as infusing the Worldwide ERC with some African exposure, which has been a rewarding experience. René has recently represented the Worldwide ERC EMEA committee (2005 -2006), ERC Global Advisor committee (2007-2008), ERC Editorial committee (since 2006), Author for the Mobility Magazine, Speaker at the Global Workforce Symposium 2007, and sits on the SARA International Mobility Group (IMG) committee. René is the president for The International Relocation Associates (TIRA). Inaaz is responsible for providing administrative support to Client Account Specialists/ Operations Team.Compiling of various research on locations we provide services in e.g.schooling, mini housing surveys, temporary accommodation, car rental etc. I consider myself to be a highly efficient, self-motivated & hard-working individual and take pride in all aspects of my work. I interact well in different environments, having high oral and written communication skills. I work effectively under pressure whilst maintaining standards and delivering results. I work well independently and perform excellently in teams. I am always eager to upskill myself & versatile to change, with the ability to multi–task where necessary to attain set objectives. Andrew has been with Relocation Africa since 2002. He qualified with a Civil engineering degree from the University of Cape Town in 1996 and went into the technology industry, becoming involved in database and web-system development. In 1997 he joined Franklin Asset Management as the IT Manager and worked there for 3 years until 2000 where he started his own IT Consultancy business. He consulted to Coronation Asset Management for 18 months where he was involved in developing an online solution for integrating their clients’offshore unit trusts with their local investments. In 2001 he launched a business called GreenJAR which provided a solution for broker research dissemination into the South African Market. In April 2002 GreenJAR won the 2002 Microsoft TechEd Award for the Most Innovative use of XML globally. In 2002 he joined Relocation Africa when he sold his stake in GreenJAR. He qualified as a Principle Estate Agent in 2003 and in 2004 qualified as a Global Remuneration Practitioner through the World at Work. Since 2002 Andrew has been managing the research and remuneration divisions of Relocation Africa. He is the Managing Director of the Group. Marlyse has been in Administration since 1999.She initially worked for an FMCG Company as an Office Manager, after which she joined Relocation Africa in 2005. Marlyse oversees all the administration functions in the office, handles all financial matters such as client billings, accounts payable,and payroll,and is the PA to Andrew Stegmann, one of Relocation Africa’s Directors. In her spare time, Marlyse enjoys spending time with her family and friends. Eloise Williams is a Client Account Specialist and has been with Relocation Africa since July 2013. She works as project manager, cultural trainer, language trainer,and translator. She is also a qualified corporate coach who specialises in providing support to assignees from all over the world to overcome and manage cultural differences to their advantage. A University of Stellenbosch graduate,Eloise has lived and worked as an expatriate in many different countries and cultures over the past 20 years. She is passionate about language and communication,and facilitating these across language and cultural barriers.